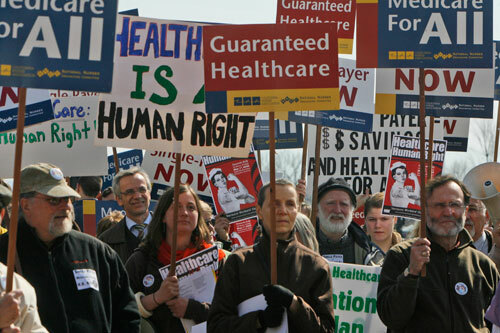 Images of the issues at stake, the personal lives affected and the players involved in the battle for healthcare reform. 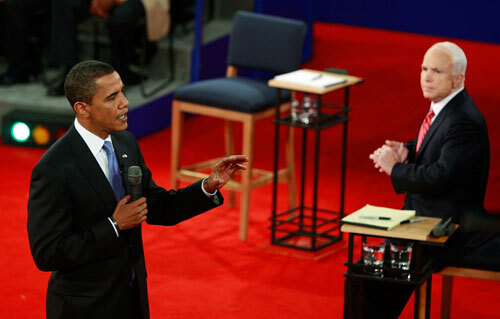 During the second 2008 presidential debate, Barack Obama draws a significant distinction between himself and Sen. John McCain when he commits to the goal of healthcare for all Americans. When Obama selects former Senator Tom Daschle as HHS Secretary, some believe it’s a sign that healthcare legislation will be passed in a timely fashion. 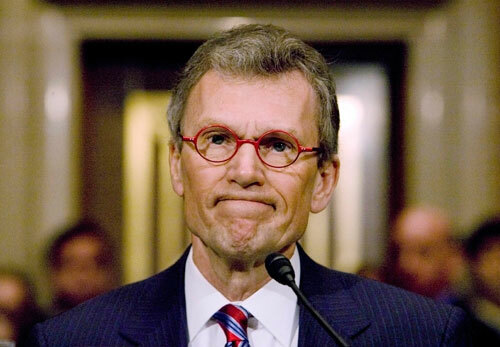 But tax troubles turn Daschle’s nomination into an embarrassment, leaving healthcare reform in limbo. Some argue Obama’s hybrid approach to healthcare reform will succeed if progressives come together to support smart, incremental improvements in public programs. As Congress debates which reforms to adopt, grassroots organizers have their own ideas of what a superior healthcare system should look like. J. Lester Feder explores whether Washington can summon the will to cut costs, raise revenues and cover the uninsured. 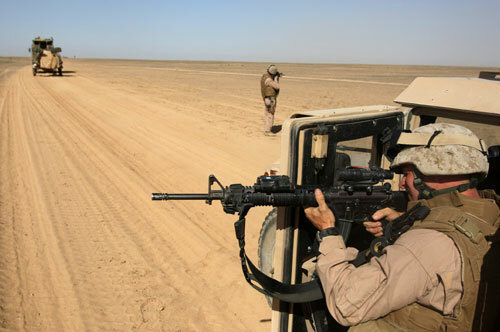 Veterans like Sgt. John Kriesel, wounded in Iraq, are uniquely affected by the flaws of the market-based insurance system. 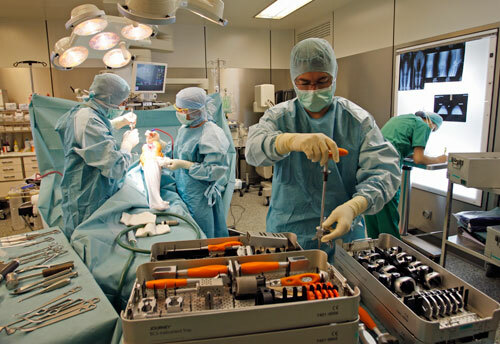 Tara McKelvey reports on how the privatization of soldiers’ medical care has a detrimental impact on their recovery. Abortion rights activist Kate Michelman shares the powerful story of her struggles with the burden of caring for two loved ones suffering from chronic diseases. 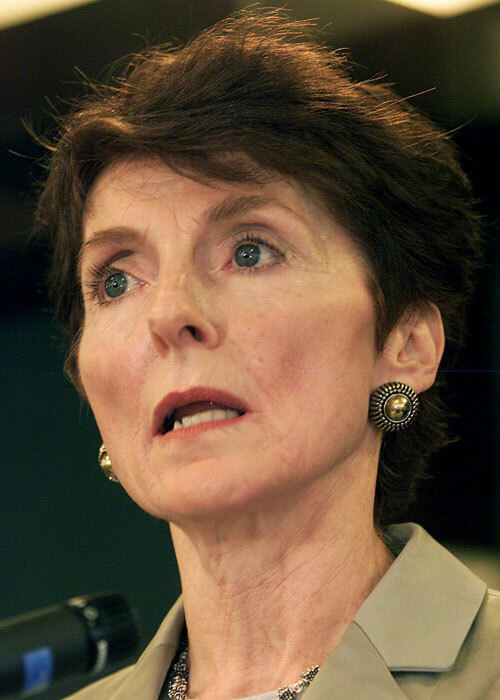 She has vowed to make reform of our unfair health insurance system her next ideological battle. Women of color with unwanted pregnancies face a unique set of risks. 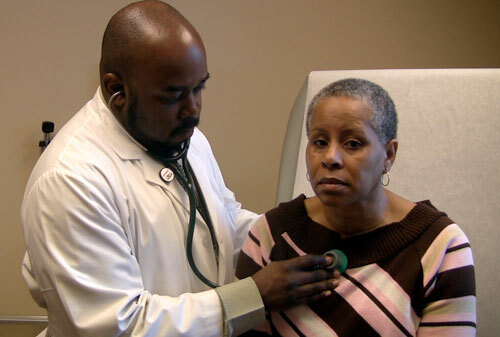 Sheryl McCarthy discusses how the confluence of poverty and lack of education hurts efforts at preventive care in this article. While fearmongers on the right campaign hard against Obama’s plan, progressives must stay proactive by getting behind the most effective option–a single-payer plan to guarantee all Americans receive coverage. 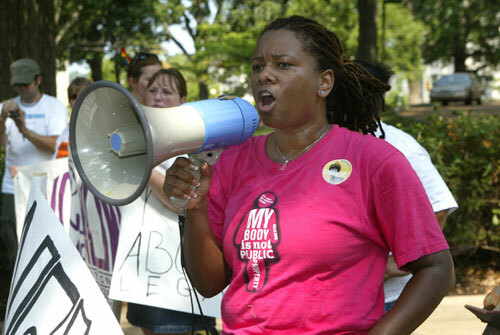 That way uninsured patients like Sharron Moore (pictured) whose only option now is a community health center, can receive uninterrupted care. Rep. Barney Frank (D-Mass) says that the most efficient way to finance a massive single-payer healthcare system is to begin cutting our bloated military budget. 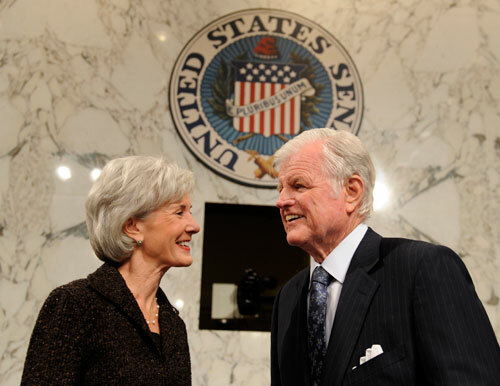 HHS Secretary nominee Kathleen Sebelius and liberal lion Sen. Ted Kennedy (pictured) represent progressives’ best hope for getting healthcare reform legislation through Congress this year. David U. Himmelstein and Steffie Woolhandler suggest that legislators should be wary of the Massachusetts model when forming a national plan.